One of a kind charming Spanish Hacienda renovated with Pool! 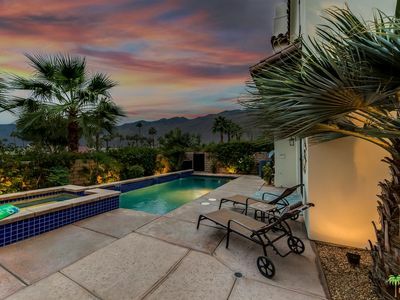 This private and enclosed rustic property includes lush gardens, mature palms, fruit trees and separate living spaces! 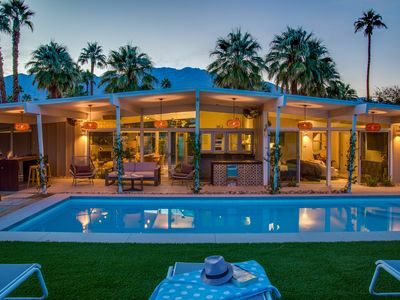 It is one of the few old world homes left in Palm Springs that has maintained this kind of architectural detail, this kind of magic. 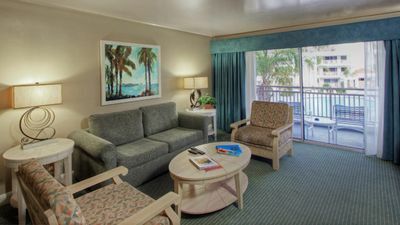 We would be happy to make our home into your home for short or long-term rentals! 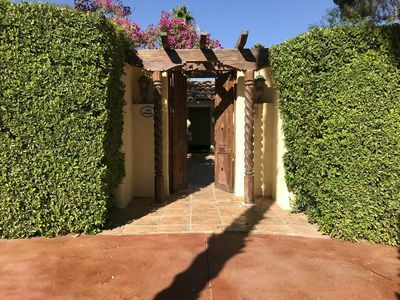 Once you enter the hacienda through the courtyard, a set of antique red doors welcome you to the home. 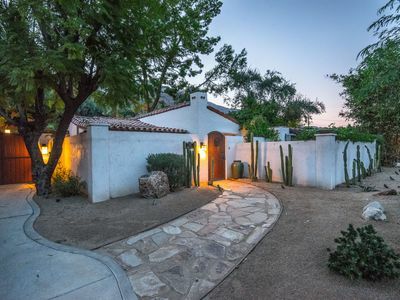 You’ll enter into an open concept living space that has been lovingly decorated with Spanish and Native American touches, all with warm colors. 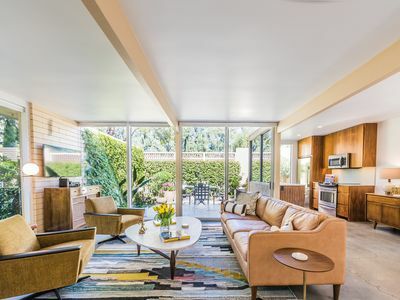 The intimate living room has beamed ceilings and Saltillo tile floors. At the end of a busy day, you can use the remote to turn on the LED wax candles nestled in the decorative fireplace. Straight ahead, there is a newly renovated kitchen with new appliances just off an enclosed dining room flooded with natural light. If you would prefer to dine al fresco, head through the floor to ceiling glass doors to an additional outdoor dining area. 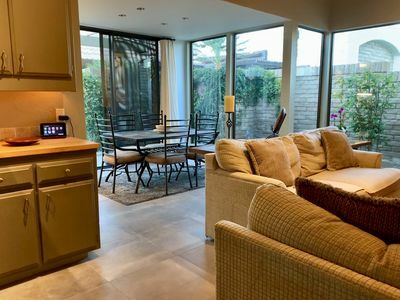 The fully fenced yard is perfect for your relaxing stay while you enjoy the pool and lounge chairs. . Once you’ve worked up an appetite, you’ll love grilling at the custom outdoor kitchen which includes a separate burner, refrigerator and sink. Then you can enjoy your meal, in the outside dining pavilion at a teak dining table that seats 10. 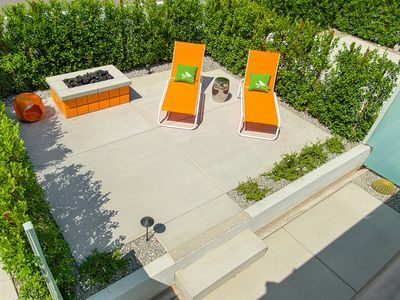 In the evening, you and your guests can even relax in front of the fire pit. Back inside, there are two private bedrooms each with new bedding and en suite bathrooms. Each bedroom also opens directly to their own peaceful courtyards. 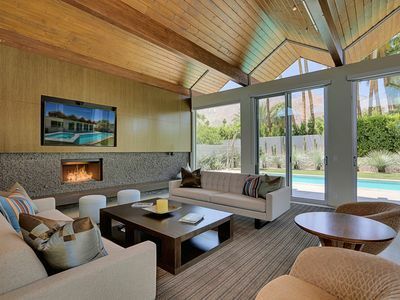 Located in the popular and desirable neighborhood of Mesa, you are only a few minutes away from downtown Palm Springs. 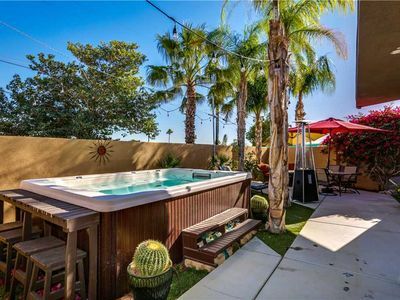 This warm and wonderful Spanish retreat offers "get away from it all" relaxation even though you will only be blocks away from great restaurants and the conveniences of town. 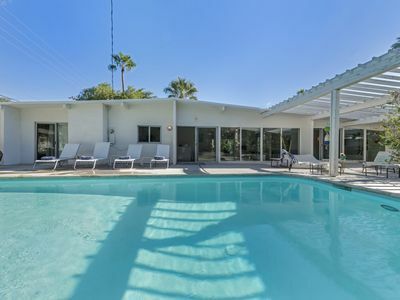 ***For an additional fee, the pool that stands between the hacienda and casita can be heated during your stay. 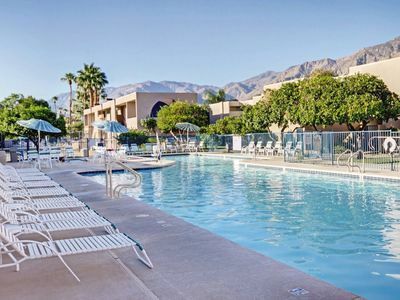 The minimum pool heating fee is $200 for 3 days of rental. After the 3 day rental, heating is $50/day. ***Pets are allowed in the property only with owner’s permission and an additional $150 fee per animal. During the summer, there is also an Air Conditioning Fee. ***If the owner needs to use the casita during your stay, prior notification will be given. 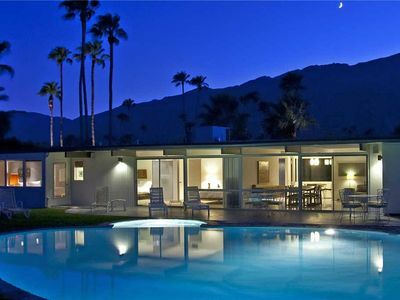 ***Guests will be subject to a 11.5% City of Palm Springs tax if their stay is less than 28 days. TOT Permit Number PS 6878. Treat yourself to this New Modern Townhome with oversized spa. 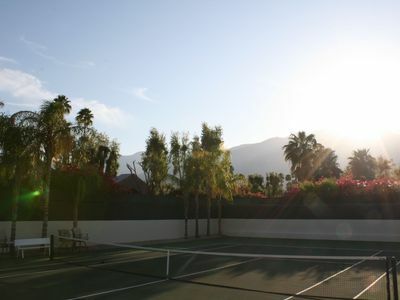 Tennis House in Palm Springs! 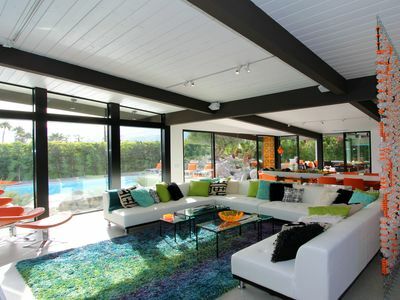 Newly Renovated Luxury Mid-Century Modern Estate- Pool/Spa, Views, Dog Friendly! 014. The O Spa + Resort | #14 The Prince Room (Deluxe) - Adults Only. 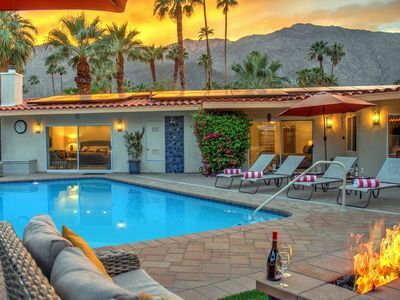 Vista Mirage Resort, Palm Springs—Coachella Week Two! !